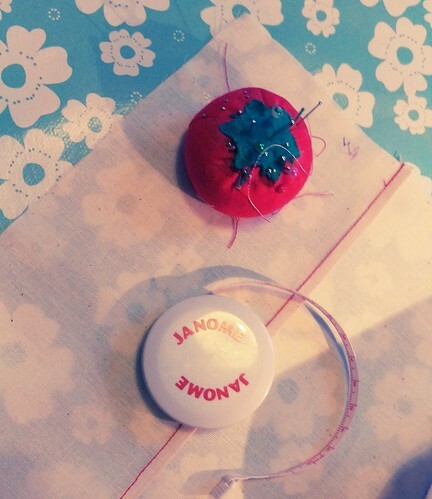 For the last two Wednesdays I’ve been attending the Ministry of Craft’s Develop Your Sewing Skills course. I umm-ed and ahh-ed about booking it as we have had so much to buy for the imminent arrival in the meantime but I am so glad I did, and let’s be honest when am I going to find the money for the next few years? A few of my friends have said “surely you don’t need to do that?” (I do, and don’t call me Shirley). 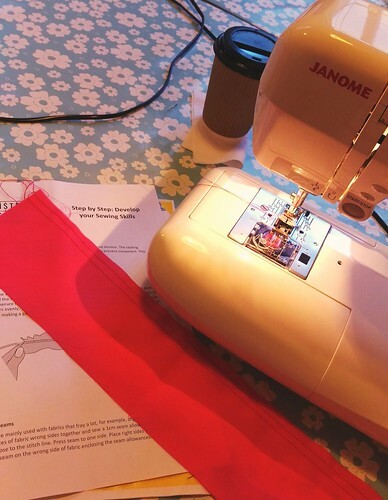 The thing about sewing is there is no right and wrong way but there are definitely easier ways, and when you’re self-taught like I am it doesn’t do any harm to have someone show you a quicker way of doing something (especially if you’re dyslexic and struggle with written instructions). As a disclaimer I would like to say I paid for this myself, so all views are honest and I’m not being paid to tell you how amazing this is for you to book on. The course is a snip at £100 for four weeks (each session is 6.30pm – 9pm) and you learn all sorts of skills which will come in handy when you go on from the basics to more advanced patterns. 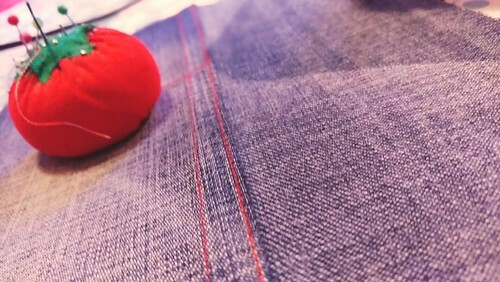 In fact, I probably could have save myself a lot of time and frustration going on something like this when I first started, but the fun of sewing is finding your own way in my opinion. The first week was all about zips. I’m not a stranger to zips having made my own clothes for a few years now, but they do have a tendency to frustrate me sometimes. We went over techniques for inserting a standard zip and then an invisible zip, which is what I was most interested in. I don’t have an invisible zipper foot for my machine, so it was good to learn something new and decide if the purchase would be worth it (or if Santa might bring me one for Christmas this year). I am happy to report that my invisible zip looked great apart from a tiny bit of a bubble at the end but we were shown how we can prevent this from happening again. My regular zip insertion was good and I did learn about how to make them a little neater than I have been doing by using a few simple techniques. At the end of the class we were given the pattern pieces to take home to cut our apron out (did I mention we get to make a vintage style pinny at the end?). I have opted for some mustard and purple fabric, but I’ll show you that in a later post. 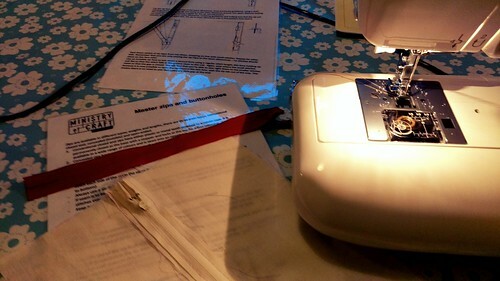 This week was all about using different feet and sewing different seams to then make a little book full of your experiments, and it was truly jam packed. We started off with gathering, which I have plenty of experience with although I did learn something new, wrapping your thread round a pin at either end to even out the gather. Why had I never thought of that before? I also realised that I don’t particularly like gathering anything, I think I still have the horrible associative feeling of frustration it leads to when inserting a set in sleeve and the hours it takes me to get it right. 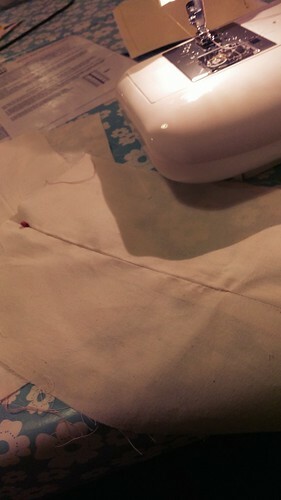 Next up: french seams, which I loved doing. I haven’t ever sewn a french seam before (as I mostly fold and stitch (or use the pinking shears if I’m being super lazy) but I can see how it would come in handy especially with the bright pink vintage chiffon I scored in Vegas which is still in my stash. Then we went on to flat felled seams, I can’t remember for the life of me if I did use these when I made the Gertie denim pedal pushers or not but either way I am happy to add another string to my bow and knowing that these are useful for bags is great as family should be expecting a lot of home made presents for the next few years. We then went onto working with a twin needle. Something my machine does have but I have never used. I’m not sure why, I think I just wasn’t brave enough. We threaded it up and used it with a Teflon foot (where was this when I was sewing that raincoat!) 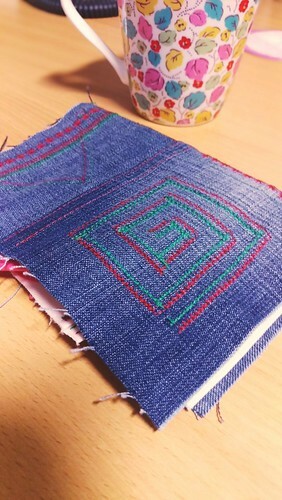 and then used it for decorative stitches on the front of what would become our sample book. This was probably the most fun thing to do so far. Then we switched to a walking foot (again where was this when I was sewing that quilt!) swapped the needle and stitched the book together. 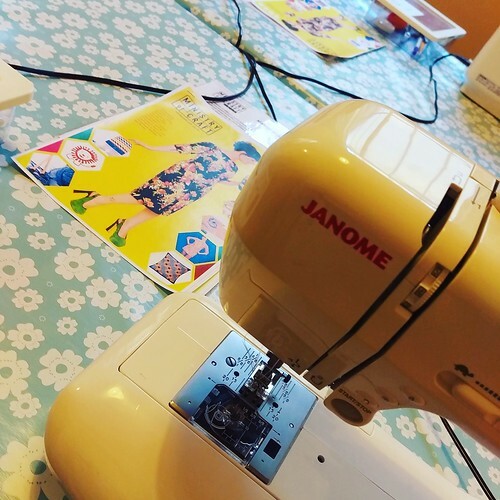 I would recommend this course to anyone looking to improve their skills whether you’ve been sewing for a while or you’ve, like me, taught yourself. It has, so far, been great and there’s something nice and soothing about sitting in a room with the hum of a few sewing machines in the background. The tutors have been brilliant, describing the process well and handing out plenty of resources and instruction sheets, checking everyone is up to speed and helping out if anyone is stuck or unsure. 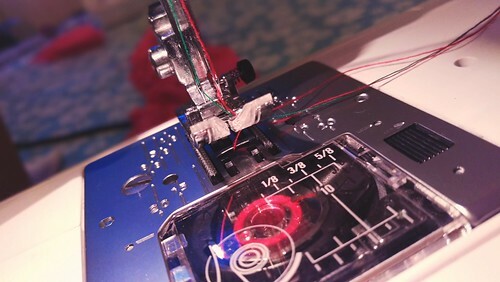 The one thing I have struggled with a little is getting used to the quirks of a Janome electronic machine when I am so used to my beloved Brother. Little things like the extra stitch it appears to make after you’ve taken your foot off the pedal. I don’t know why they do this, but it has driven me nuts. This is a problem with me though – I don’t know how anyone else feels but once you get used to your own machine nothing else will do. I am so looking forward to next week, bias binding, which I am au fait with, and piping which I haven’t tried out yet – all as part of making our apron. Roll on Wednesday! That sounds great, and I still need to learn how to use some machine attachments – I am pretty much self taught sew-er, but in college we had to produce a sewing book showing samples of technique, which we had to read up on how to do, made my sample (we also had to illustrate it) it was so worth doing – as it did give me a confidence. 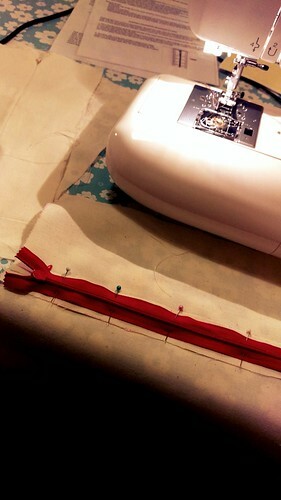 however its always worth learning other sew-ers tricks and tips (which I dont know enough of.) before college, i had trained as a cutter, and the trainee sewing machinists in the room next to us, had to sew squares of continuous lines to get speed and accuracy up….. i used be transfixed by how they could put a zip in without a zipper foot! definitely, I always find it helpful to see how others are doing things. I love the fact that everyone has their own style of sewing, there’s so much we can learn from each other!